Pricing pages are at the intersection of design, sales, and content. There’s a famous human behavior study commonly called The Jam Study. 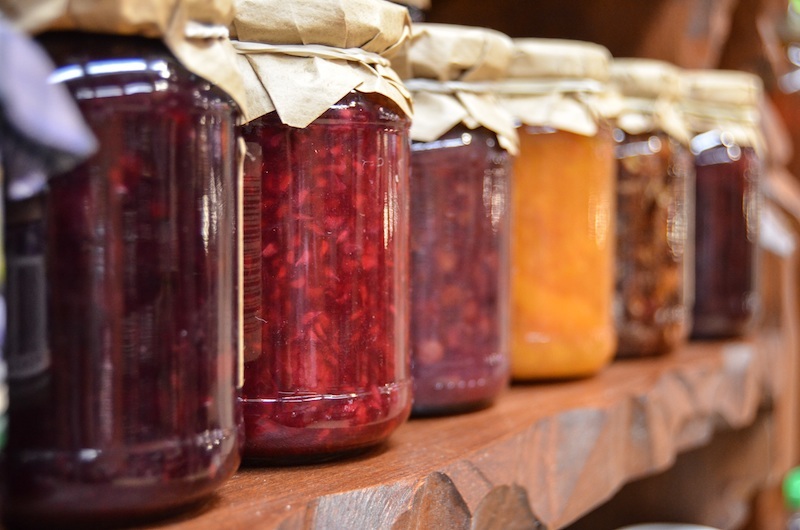 For it, researchers headed to a gourmet market in California and set up a booth of samples of jam. They started with 24 jams to taste test, and every few hours they reduced the amount of options to just six. Here’s what’s most fascinating about this study (aside from the obvious “there are two dozen flavors of jam? !”): No matter how many offerings there were, the average customer tasted just two flavors. And 30% of the customers who sampled from the smaller selection made a purchase, compared to just 3% of those who sampled from the larger selection. And choices are everywhere when you’re planning out a marketing site for a software company. What color do you make the call to action buttons? Do you use static images or GIFs? And what about that pricing page? How can we keep the most important page on the site–the one that nearly every customer sees–working for us? 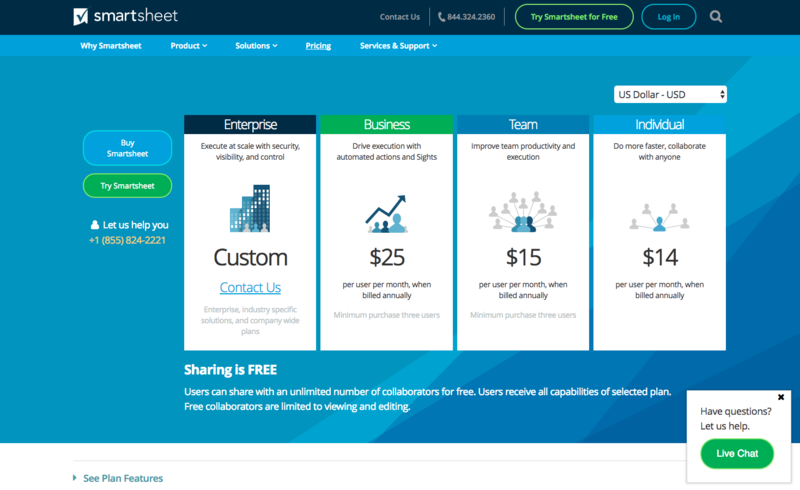 For a software company, the pricing page is the most popular page on any heat map and in any conversion-focused meeting. After all, this single page on your marketing site has the information potential customers want: How much is it all going to cost me? Your customers are either price-focused first or features-focused first. And it’s those price-focused customers we’re worried about most with pricing pages. 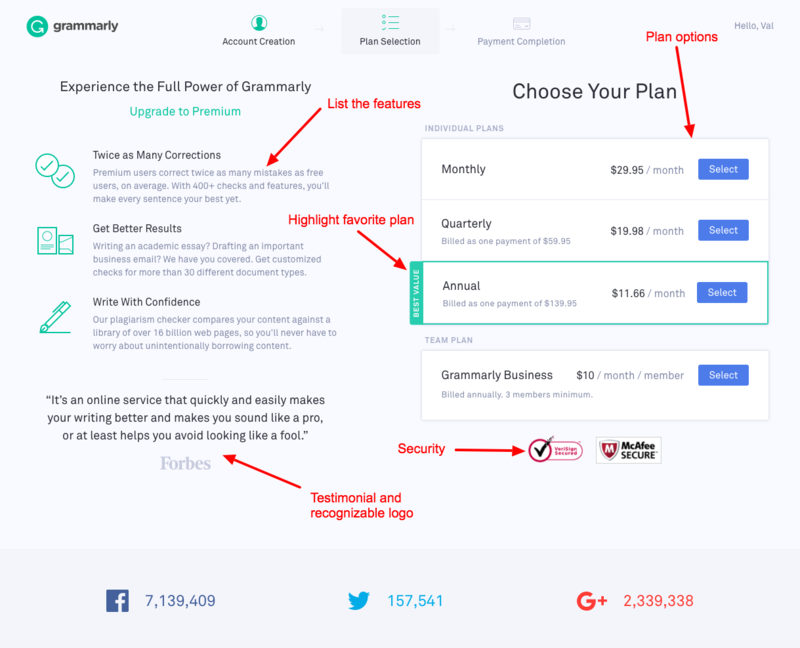 Before we get into the mechanics of a pricing page, let’s talk about the need for a pricing page. Wondering why we’re even talking about this? 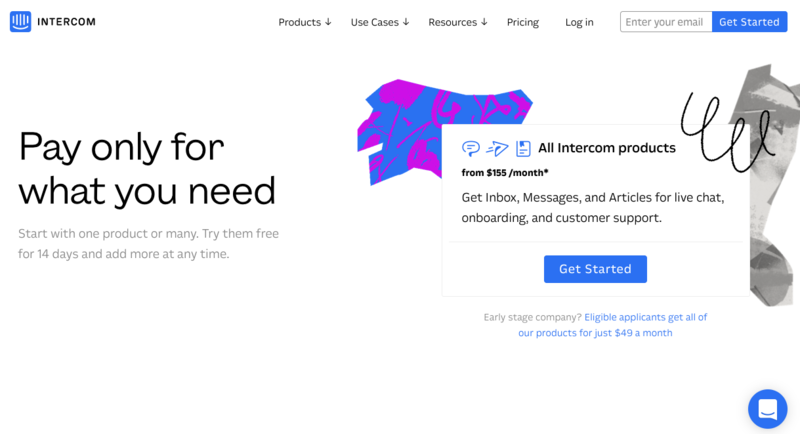 Every company has a pricing page, right? Not necessarily. We need to talk about this because your pricing page might be distracting your leads from becoming customers. Jason Lemkin, CEO and Co-founder of EchoSign (acquired and now called Adobe Sign), says that some companies have a very good reason to not share pricing at all. Some products have the possibility of having complex deals including discount options. At a certain point, deals get so large that they can’t be shown in a comparison table. There is that percentage of customers who put price after features. They’re typically Enterprise and simply looking for a solution without concern about the price. To them, listing your price can make you seem cheap. Check out the menu at Iterable. There isn’t a pricing page in sight and the call to action in the header image is to schedule a demo. If your audience is mainly Enterprise, a pricing page might not make sense for your marketing site. And demos are great for business. Pushing customers to a demo can result in better conversions in many cases, not just for enterprise-focused businesses. “ConvertKit has a whole growth team that’s focused on providing hands-on demos to anyone who requests them—which convert very well overall. Before you and your team spend time overhauling your pricing page, consider if a demo-only option is right for you. So you’ve considered the demo option but ultimately decided that you want to put a pricing page on your website. Alongside standard best practices, a pricing page team needs to hold an understanding of psychology, a high value for long-standing copywriting techniques, an interest in design trends, and a heavy dose of humility and flexibility when all of the data proves the typical assumptions wrong. So it looks like there’s a formula, right? Plug in the elements, add a gradient or some enticing colors, and call it a day. Hint: If it were, you’d be designing the pricing page on your first day on the job. But maybe there actually is a formula you can follow to get your customers to do what you want them to do. Design on pricing pages is actually more about psychology than anything else. This study, conducted through CXL Institute, says that how people consume pricing plans depends on the plan’s layout design. What’s most amazing about the CXL Institute study is that color choices, icon use, and other design elements didn’t matter. Generally speaking, users processed all pricing tables the same way regardless of plan layout: They spent the most time looking at the first two pricing plans listed in a left-right order. Not only did the study participants spend more time reading about the plans on the left side of the table (listed first or even second), the expensive plans were purchased most often when they were in that coveted left side spot. So design of a pricing page is a little bit art and a whole lot of science, it seems. Of course, you can’t start thinking through the design until you know all of the pricing options you plan to present your potential customers. “Traditionally, SaaS companies have sold their features and products in pre-packaged ‘bundles’ on the pricing page,” Kate Harvey of Chargify shared. Bundles look like many traditional pricing pages. But even standards change over time and bundles are starting to feel dated. “Innovative SaaS companies are recognizing a shift in customer demand and offering their products and features ‘à la carte,’ and are tailoring specific offers to target sets of customers rather than offering all customers the same generic packages. 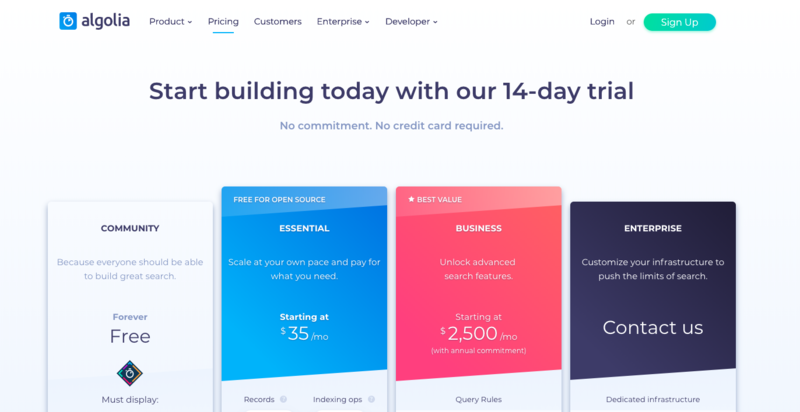 Offering unbundled options on SaaS pricing pages isn’t a passing trend; I see it as a glimpse into the future of SaaS pricing,” explained Kate Harvey. Customers want choices, and smart software companies are quick to reply. Designing a pricing page is more than just looks, it seems. 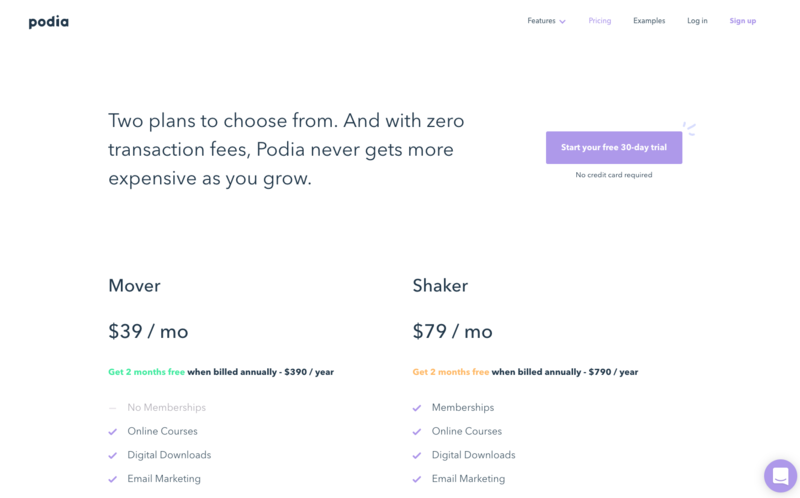 And the most brilliant pricing pages don’t just score high in beauty, but also in brains. “SaaS pricing doesn’t exist in a vacuum ,” says Nichole Elizabeth DeMeré, Head of Community Growth at Zest.is. Your customers don’t want a better piece of invoicing software. They want to get paid easily. Don’t pick desired outcomes out of thin air. Do your research: It’s an all-too-common mistake for founders to think they know what their customers want, without actually having asked them! Just like there’s “no crying in baseball,” there’s no guessing in business. Ground your assumptions in actual, qualitative and quantitative research (i.e. words and numbers both). Don’t settle for the easy answers. What people really want most isn’t having another app on their phone or lower prices, it’s to feel a certain way. Clearly state your value proposition. Your ideal customer’s desired outcome is closely tied with your value proposition. In fact, your value proposition had better include your audience’s desired outcome, or you haven’t achieved product-market fit. Price based on perceived value. “Perceived value” is what consumers think the product is worth to them, rather than a monetary value based on material quality and cost. In the 2010 book Money Makers, David Snider and Dr. Chris Howard assert that “When the benefits outweigh perceived costs, your prospect will take action.” Once you’ve changed your content to sell the desired outcome, the benefits of buying your product will become more apparent, and have a better chance of outweighing the perceived costs in the buyer’s mind. Essentially, when your customer believes they can get exactly what they want from your product, you can justify charging more for it. “If you want to create an optimal pricing page, talk to your paying customers, determine their desired outcomes, and learn how much they’re willing to pay to reach those desired outcomes on a monthly or annual basis. And this isn’t a set-it-and-forget-it situation, so be sure to continually do your research,” added Nichole. 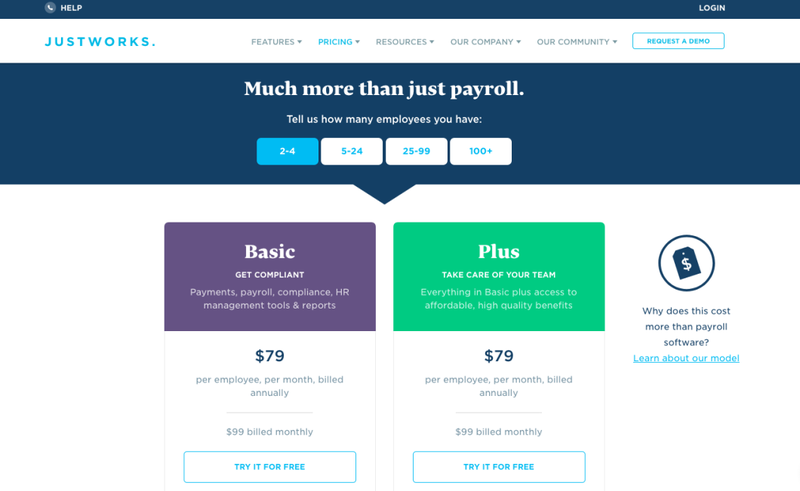 Content and design consistently play off of one another, and pricing pages are no exception. Your design choices should be informed by the options and content that speak to your customer’s needs. Don’t design for the hammer—design for the hole in the wall. No one wants to figure anything out on their own. Make it simple. Your D.O.C. should follow those same truths. Keep the design from being distracting, the options as few as possible, and the content high level. Val Geisler is a writer who specializes in email marketing and content for SaaS and online businesses. Pulling from her experience with tech startups, non-profits, and 7-figure businesses, Val brings her background in content creation, customer experience, and digital strategy to her incredible clients every day. Learn more at her website, valgeisler.com.